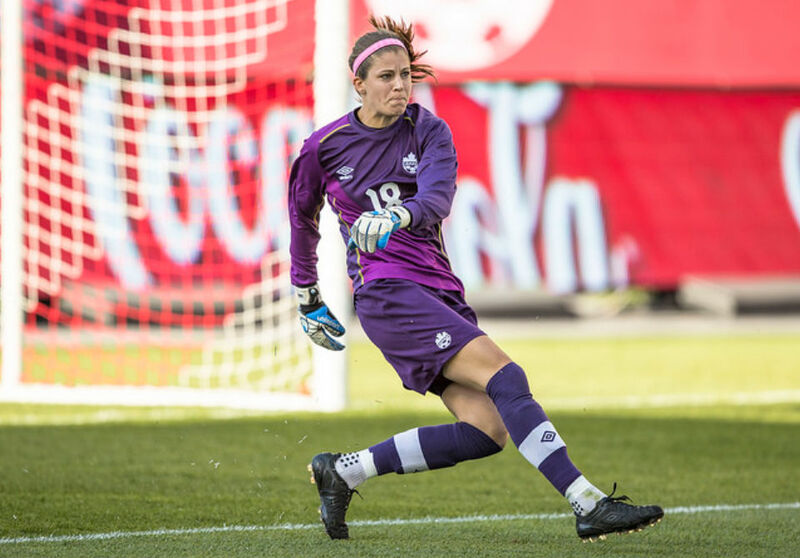 France 1-0 Canada: In a match that primarily saw the two teams playing staunch defense, with not much going forward, it was a 10th minute Eugenie Le Sommer penalty strike that ultimately served as the difference in their friendly against Canada this afternoon. After a scramble in front of the Canadian box, the ball found its way to Canadian midfielder Diana Matheson’s hand, and she was promptly called for a handball, forcing the penalty, which Le Sommer calmly sent past Canada keeper Stephanie Labbe. 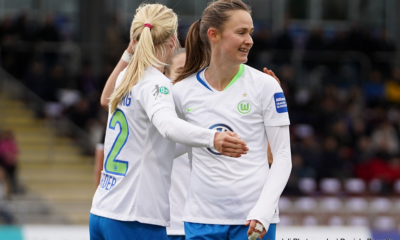 The French would be awarded a second penalty later in the second half of the match, but Amandine Henry couldn’t get it past Labbe, and the final score-line from Renne finished at 1-0. Philippines 0-3 China PR: A brace from Li Ming, as well as a strike from Ma Jun proved the difference as China took down the Philippines to earn themselves a spot in both the semi-finals of the tournament, and a spot in France in 2019 (due to Thailand’s subsequent defeat of Jordan). It only took 17 minutes into the match for China to make their first mark, when Ren Guixin’s shot off the post fell to Li Ming, who hit the rebound home. Not more than 15 minutes later, China would double their lead when Ma Jun beat Philippines keeper Kearra Bastes-Jones from 12 yard out. The final score then came in the 57th minute, when Li Ming got her second off a cross from Gu Yasha. China will be without defender Wu Haiyan for their next match, after she got a second yellow card in the 82nd minute, but their primary work of the tournament is done, and the Philippines will be looking to do the same in their group play finale against Thailand. Thailand 6-1 Jordan: Due to a blistering first half, Thailand kept their hopes of World Cup qualification alive, slamming Jordan 6-1 off of a brace from Suchawadee Nildhamrong, and goals from Taneekarn Dangda, Silawan Intamee, Kanjana Sung-Ngoen, and Pitsamai Sornsai. Thailand started incredibly hot, notching their first goal in just the first minute, when Nildhamrong pounced on a poor Jordan backpass to beat the keeper and put her side up 1-0. Just five minutes later, Dangda doubled the lead with a far-post strike. Jordan worked their way into the game after that first flurry, but Thailand added another goal in the 39th minute, off a free kick from Intamee, and a fourth from Sung-Ngoe. Jordan would pull one back before halftime courtesy of Shahinaz Jibreen, but Thailand had the match in hand long before the final whistle. Nildhamrong added one more goal in the 69th minute, and Thailand now can look at their showdown with the Philippines as their final test to get to the Asian Cup semi-finals. 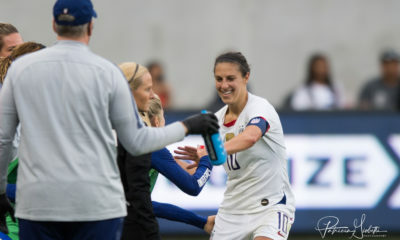 The USWNT won their third and final match in La Manga, Spain on Monday, defeating the Italy U-23’s 3-1. 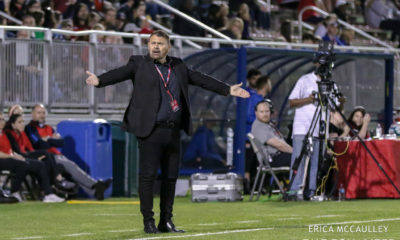 Italy had taken an early lead in the competition, when in the 11th minute the ball was carried by the wind after a free kick near the middle of the field, and bounced into the top left-hand corner of the USA goal. 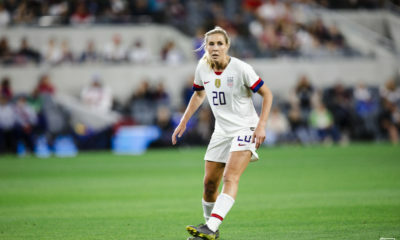 However, in the 22nd minute, USA forward Sophia Smith (who scored in all three of the La Manga matches) equalized after stealing the ball in the attacking third, and beating the Italian keeper one on one. The USA game-winner came in the 38th minute, when a cross from Smith found Izzy Rodriguez who had her shot blocked. 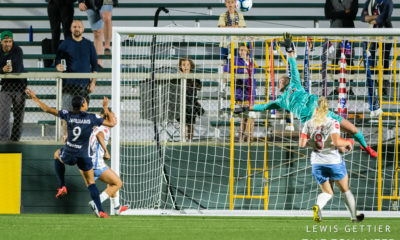 However, Abigail Kim was there to pick up the rebound and slotted the ball home to put the USWNT up 2-1. An Italian own goal in the 53rd minute secured the match for the Americans.